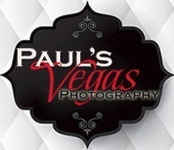 Paul's Vegas Photography can shoot products for your company. Feel free to give us a call to discuss you needs for magazines, printed materials and websites. We have a studio or we can travel to your location. Let us create quality images for print or internet marketing. Our photography is featured on numerous websites and magazines.